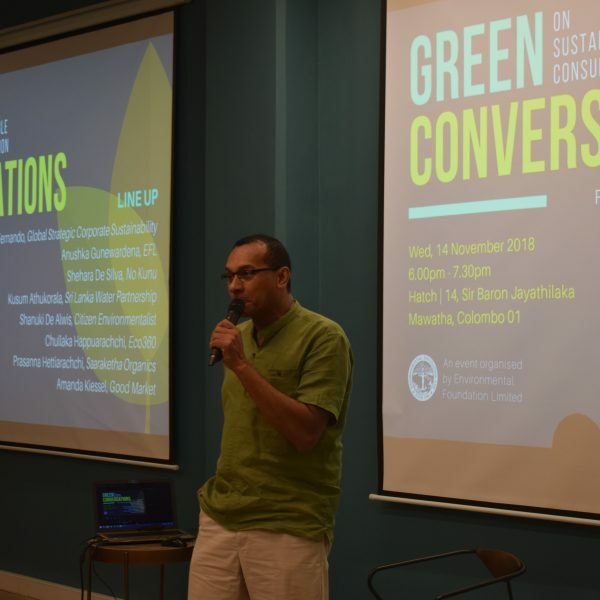 Green Conversations – Environment Foundation (Guarantee) Limited. 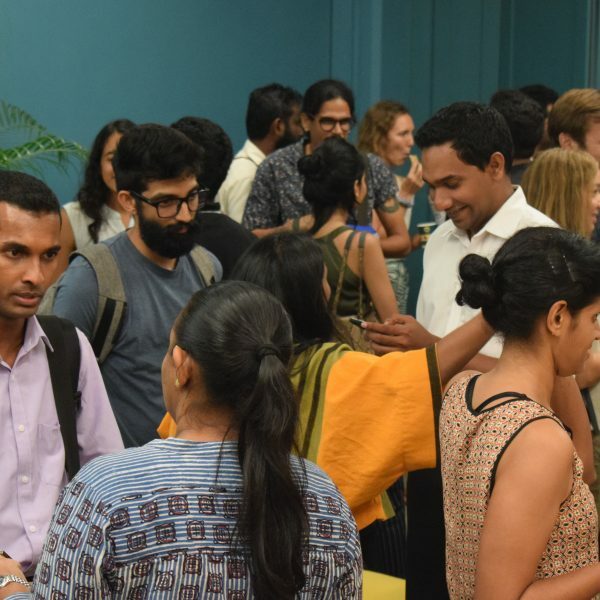 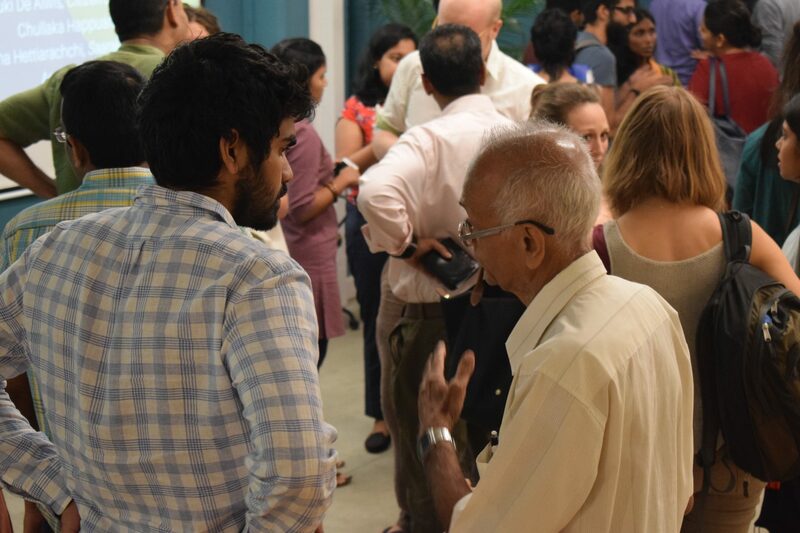 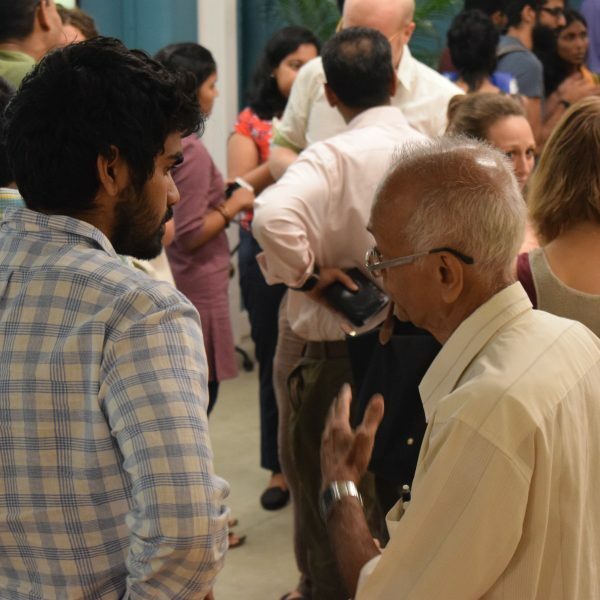 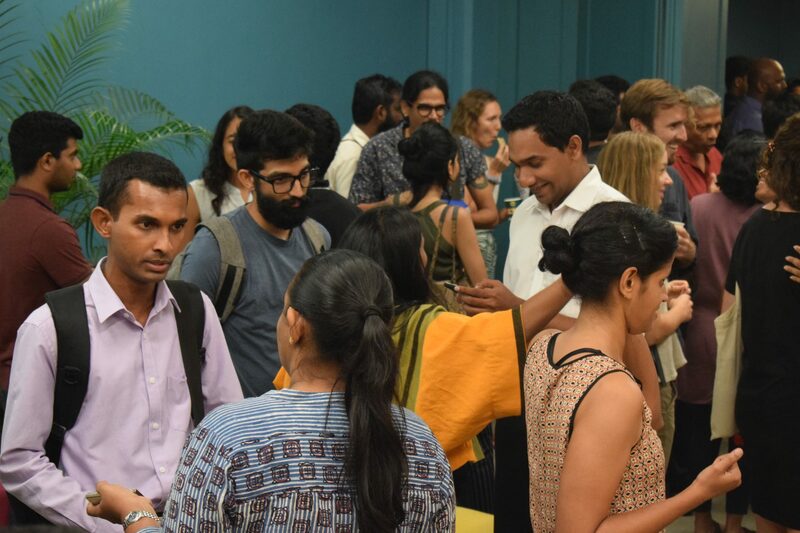 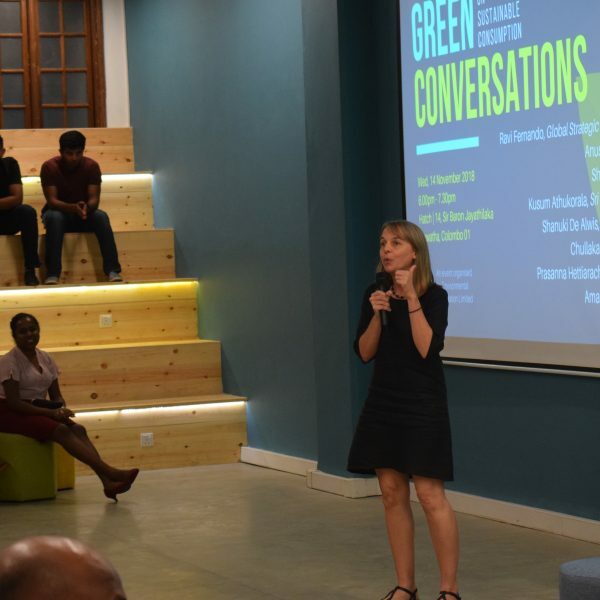 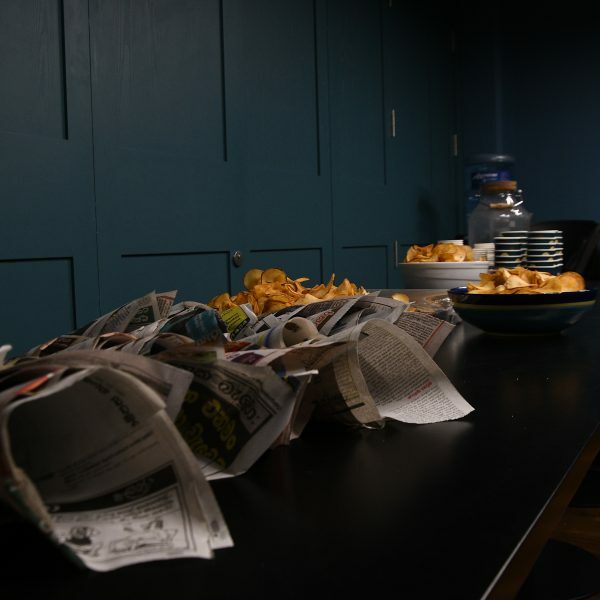 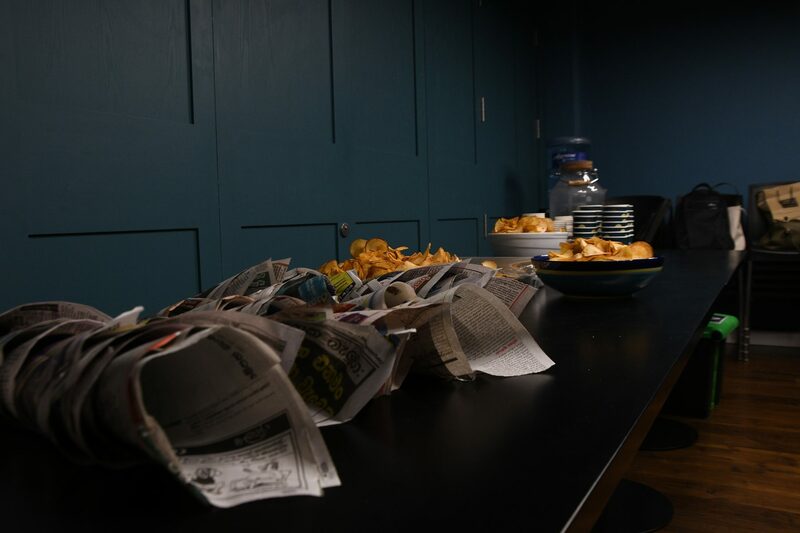 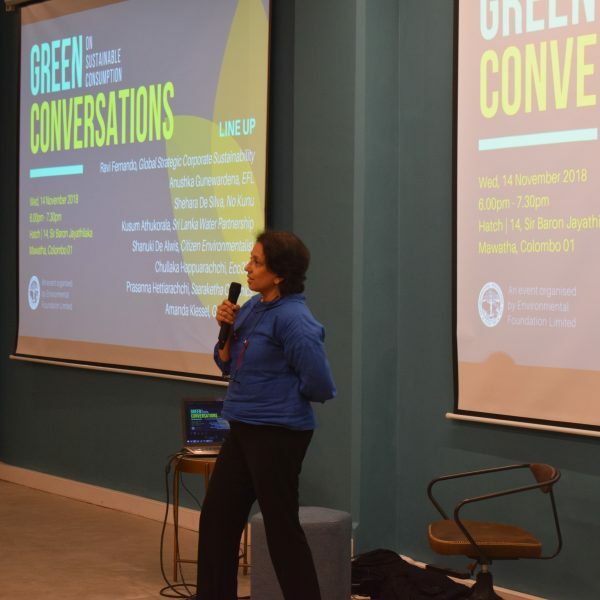 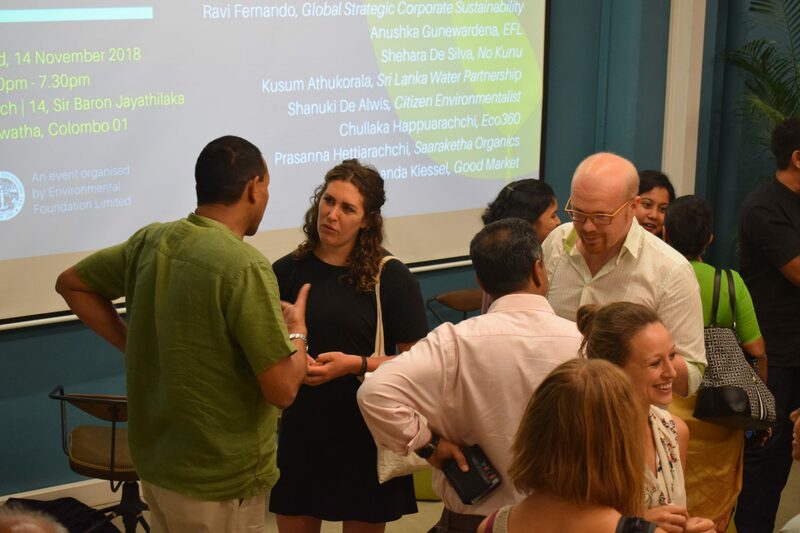 Green Conversations is a fast moving event format bringing together established and enthusiastic environmentalists, creating a space to connect and exchange ideas. 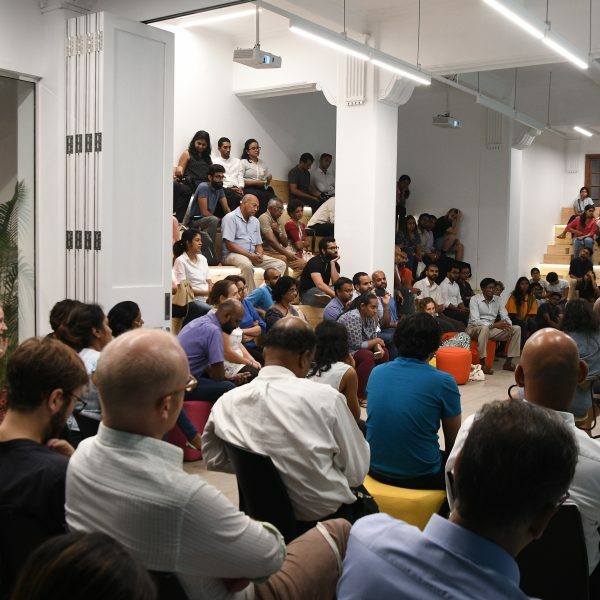 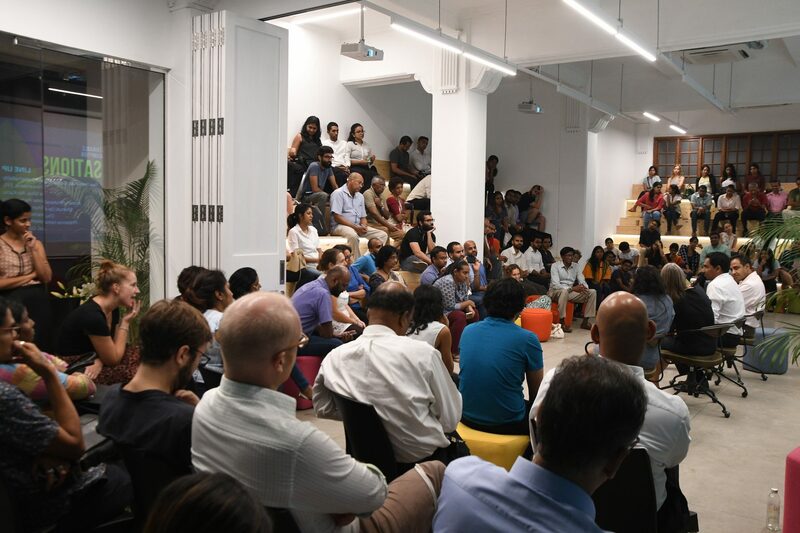 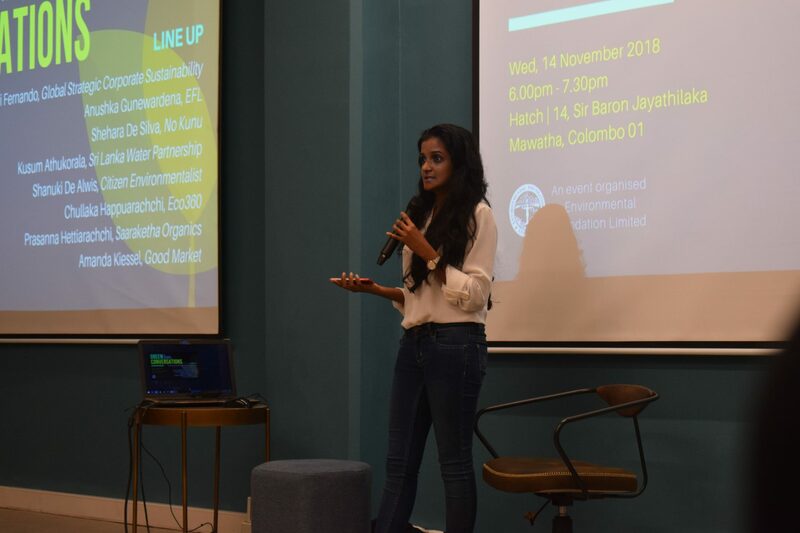 Based on the idea of pitch events held for startups, EFL will invite speakers from established organisations, environmental initiatives and businesses to share their plans in the format of a fast paced 5-6 minute pitch. 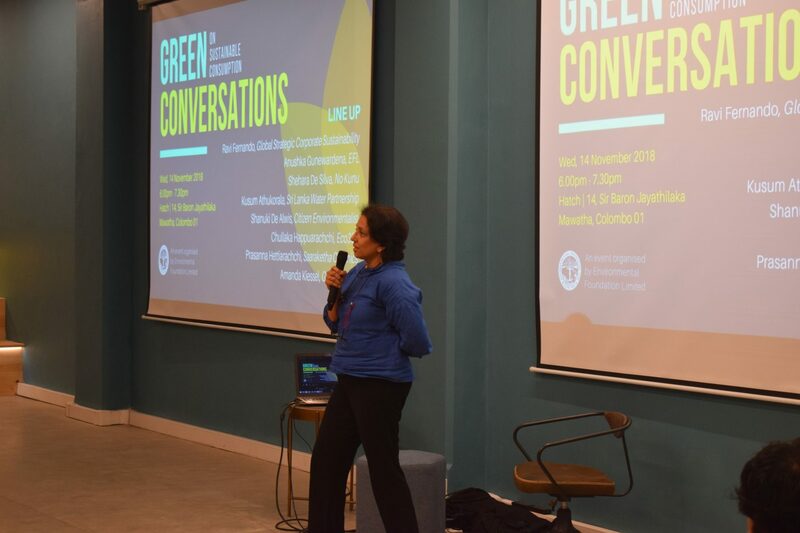 This will be followed by a Q&A where the audience is given the opportunity to connect with the speakers. 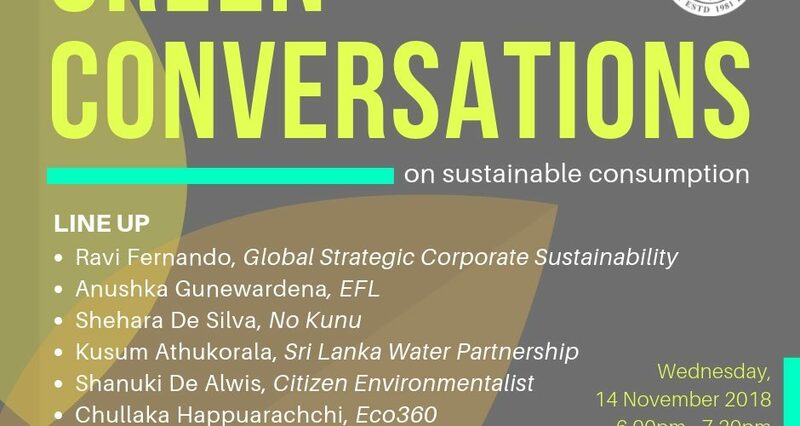 The primary objective of the format is to connect citizens from various industries who have a common goal; safeguarding the environment. 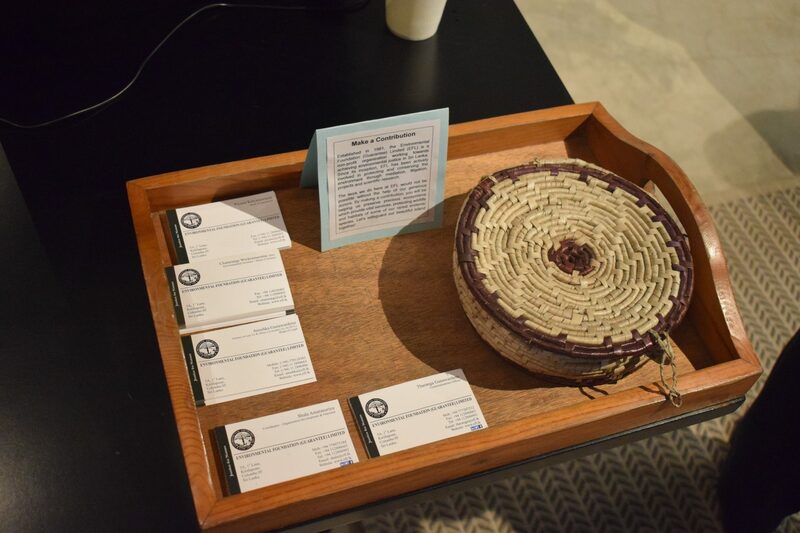 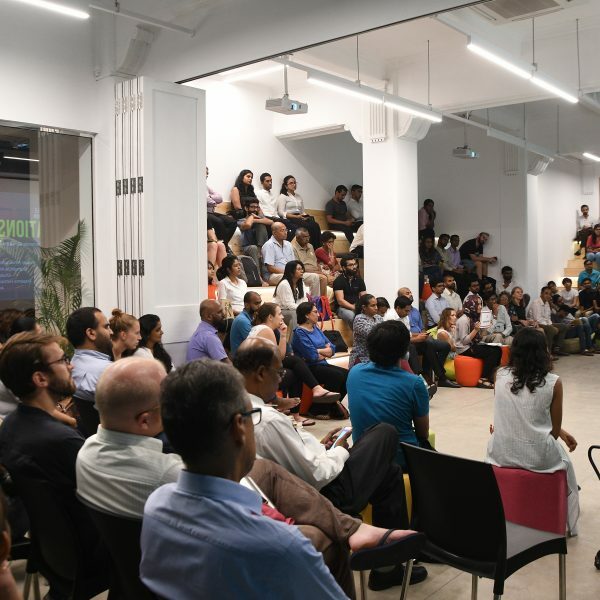 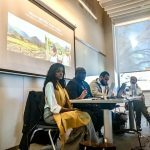 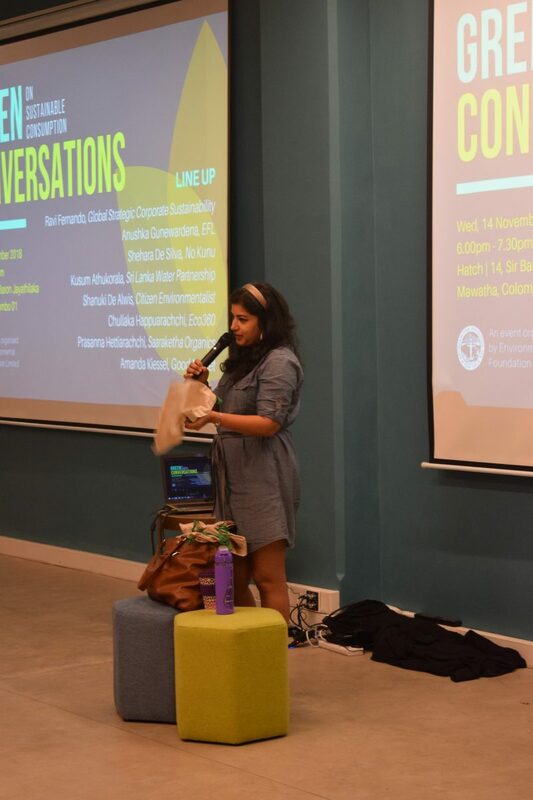 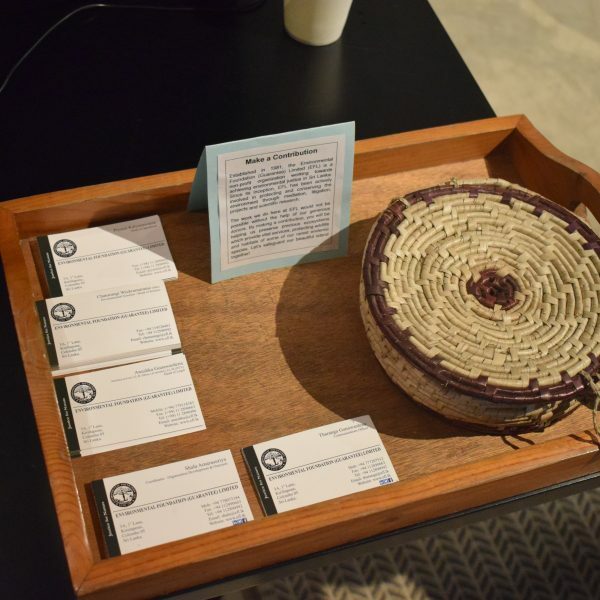 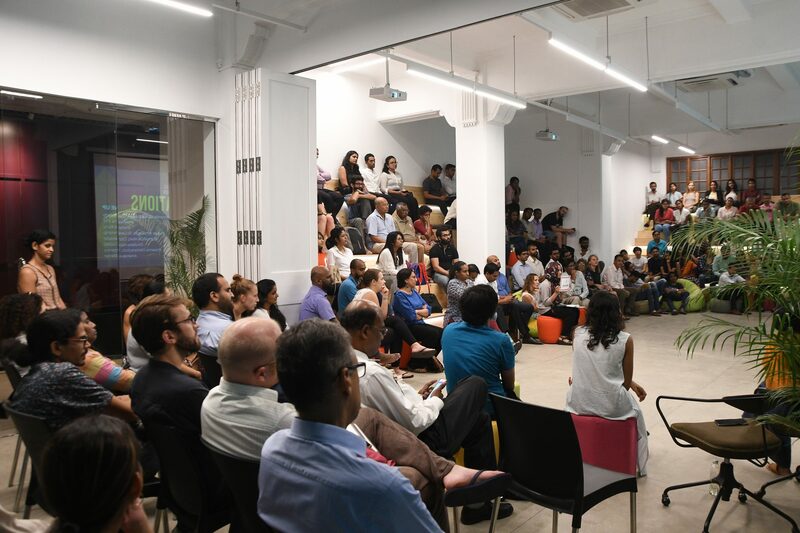 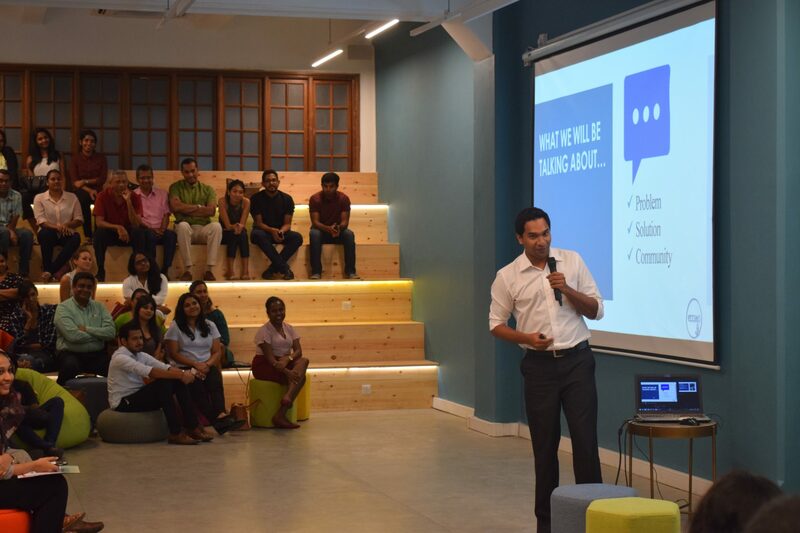 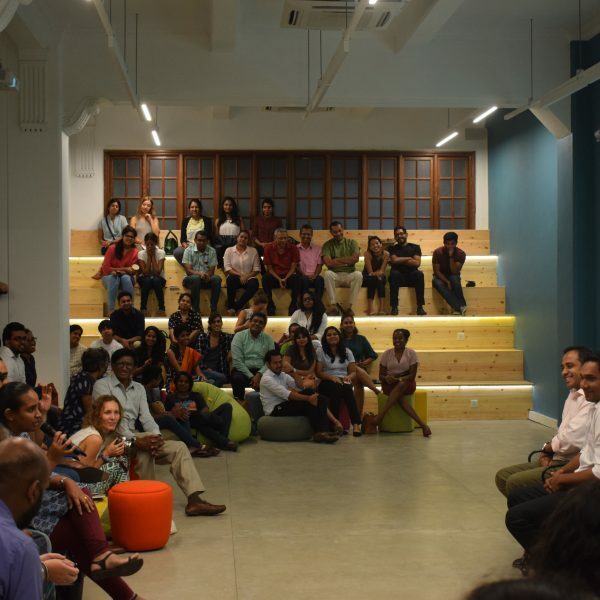 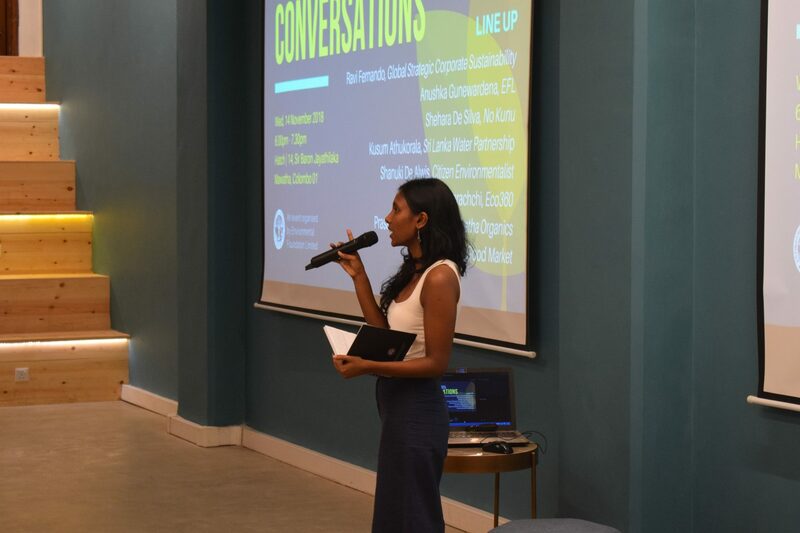 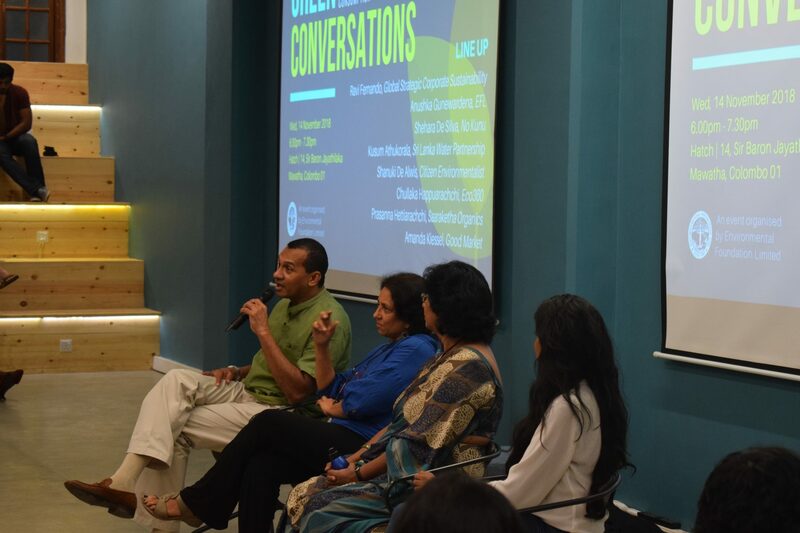 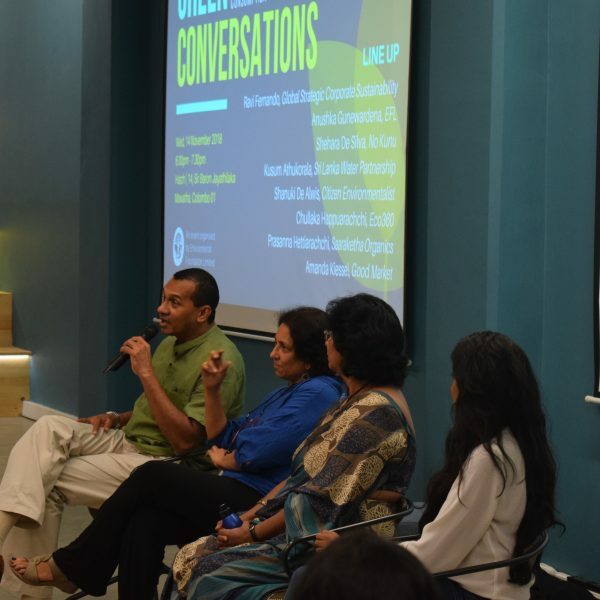 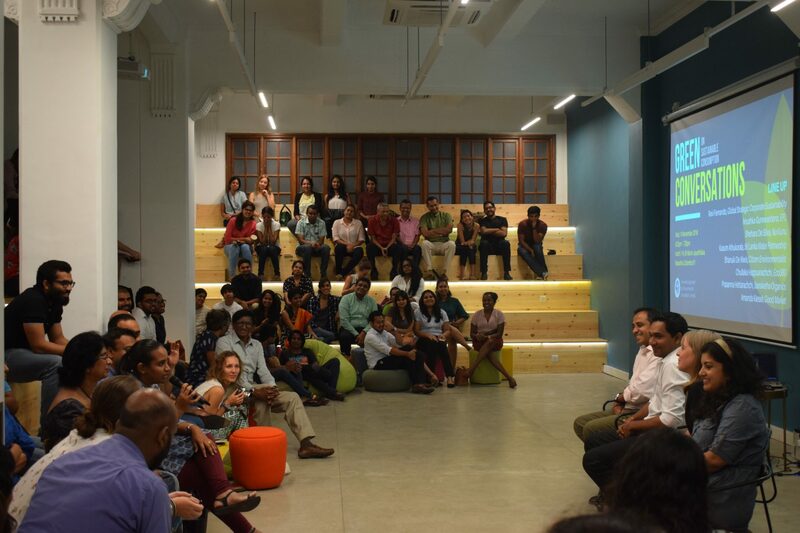 For its very first event, held on 14 November at Hatch, the conversation was centered on Sustainable Consumption. 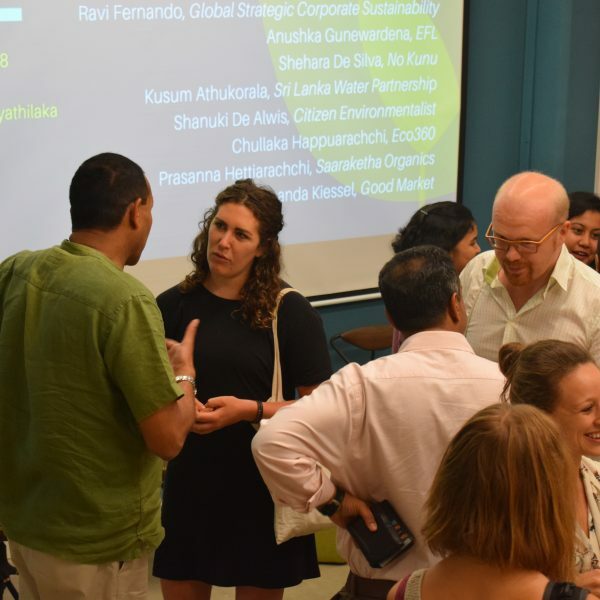 The speaker line-up featured a combination of well recognised names like Amanda Kiessel, Good Market and Kusum Athukorala, Sri Lanka Water Partnership and newer initiatives such as Chullaka Happuarachchi, Eco360 and Shehara De Silva representing No Kunu. 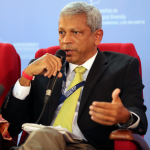 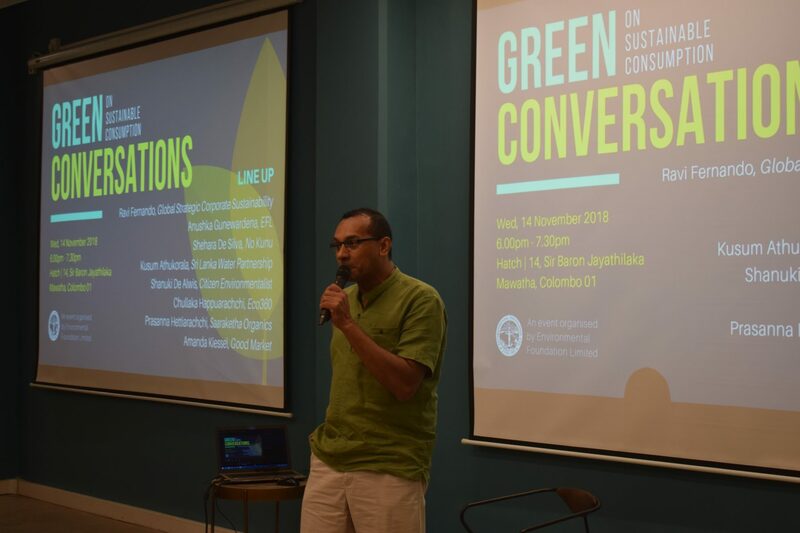 Dr. Ravi Fernando of Global Strategic Corporate Sustainability opened the event by giving the audience an uplifting and real perspective of the main environmental challenges in Sri Lanka, mainly energy, water and deforestation. 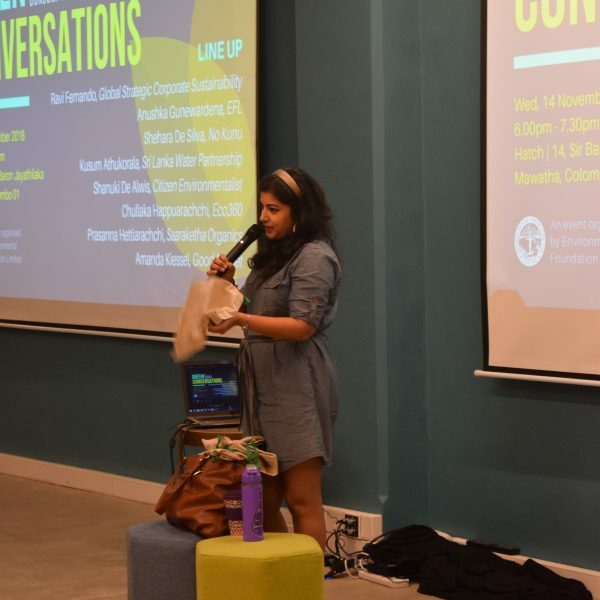 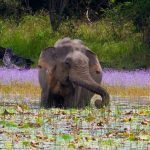 Shanuki De Alwis, a citizen environmentalist gave us a peek of what’s in her handbag, reminding us of the everyday actions we can take to reduce our single use plastic consumption. 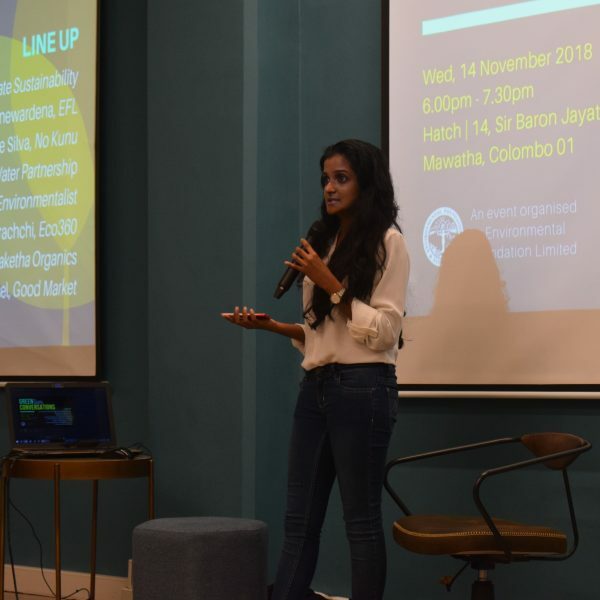 There’s promise of an exciting collaboration between Saaraketha Organics and Eco360, to replace their plastic packaging with 100% compostable packing instead. 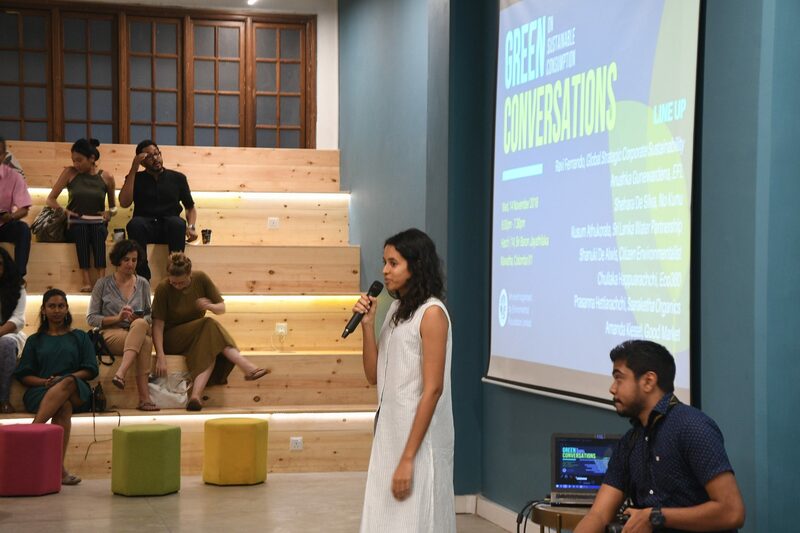 Collaborations like this is what Green Conversations is hoping to see more of! 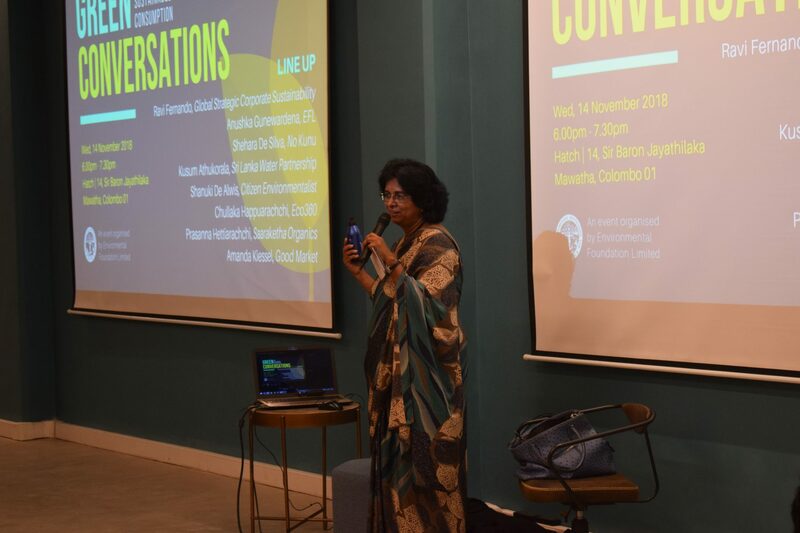 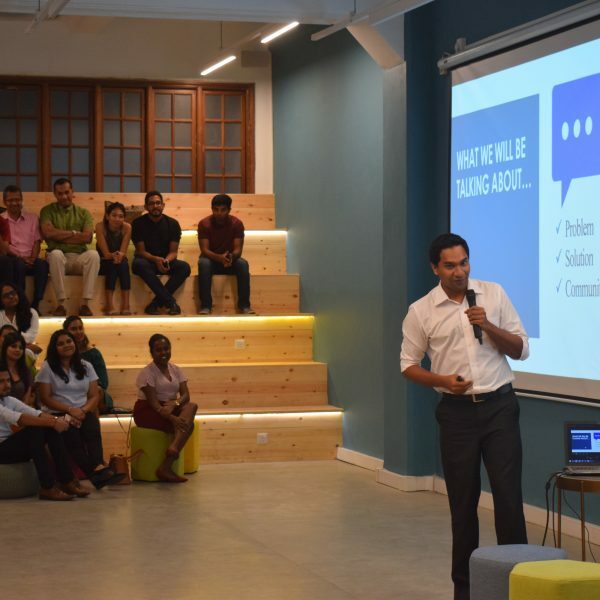 The key takeaway for most of us in the audience was recognising that each of us, as an individual have the power to influence and act at a policy level, at corporate level or as a consumer. 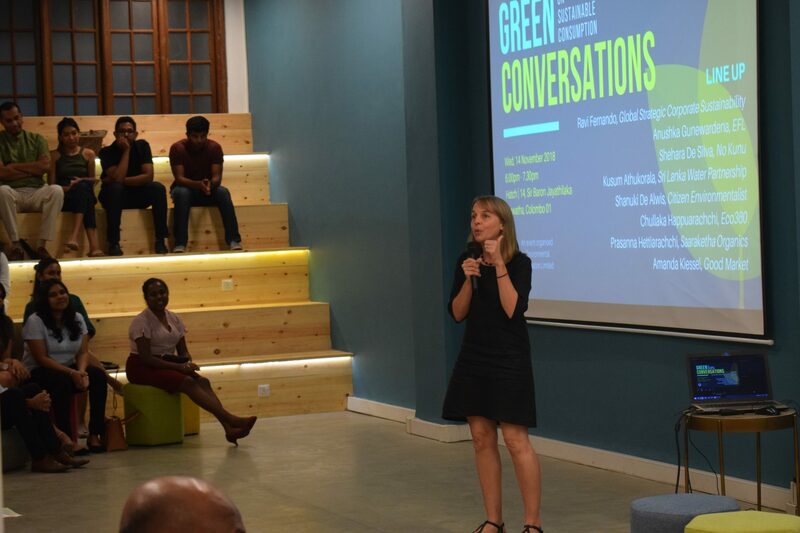 It’s a matter of choosing one thing we’d like to contribute towards and working towards it in our own ways to collectively make a difference. 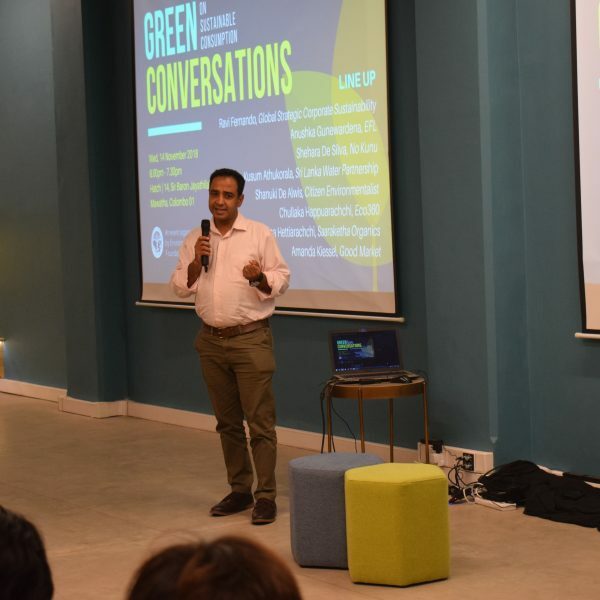 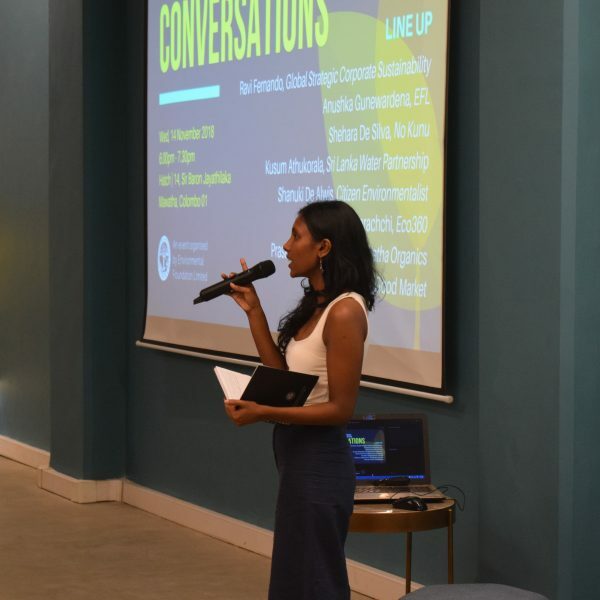 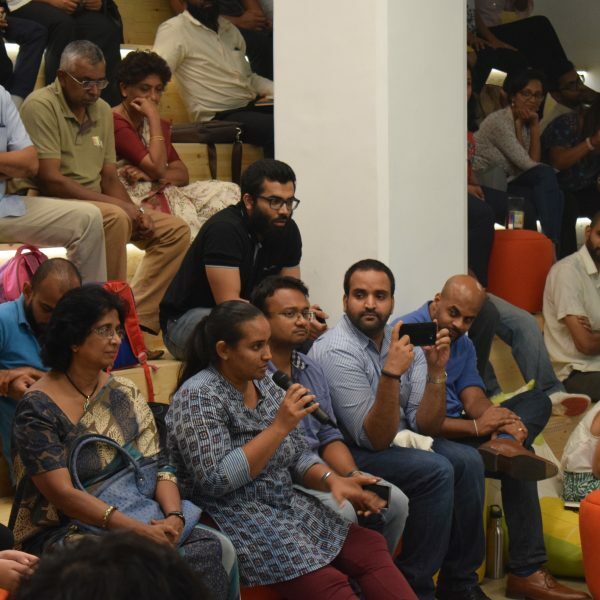 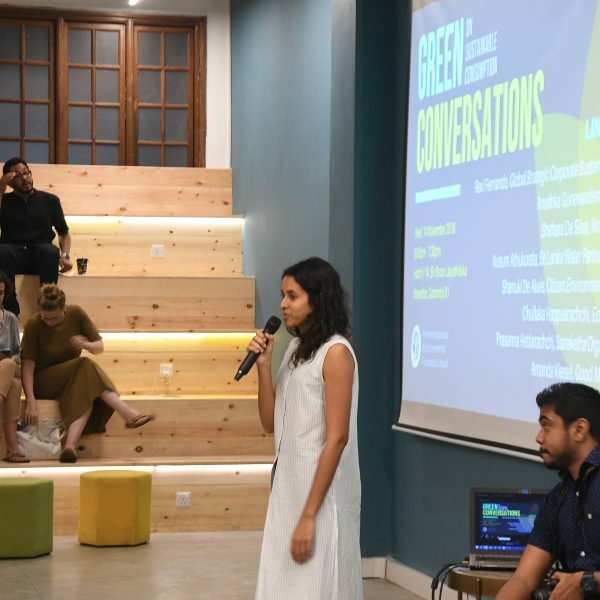 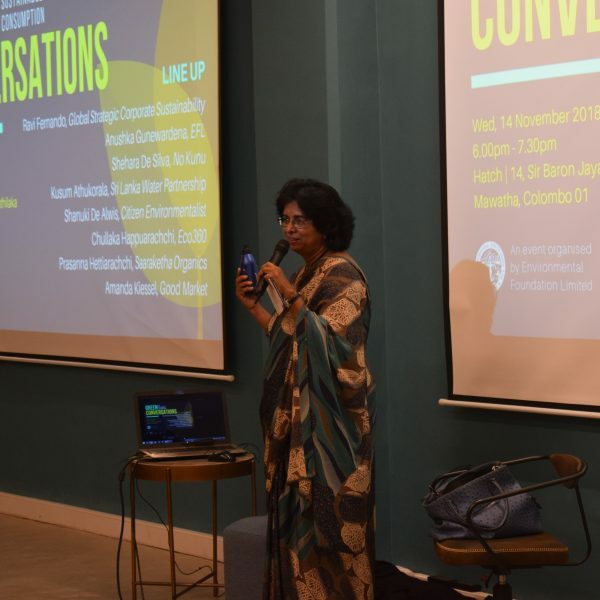 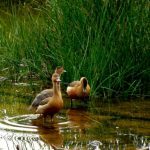 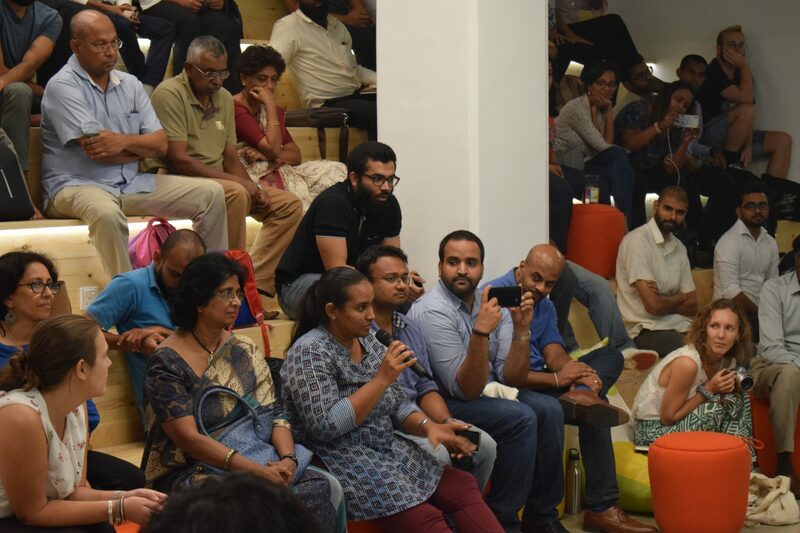 Green Conversations will be an ongoing series highlighting different initiatives and organisations, while better connecting the environmental community. 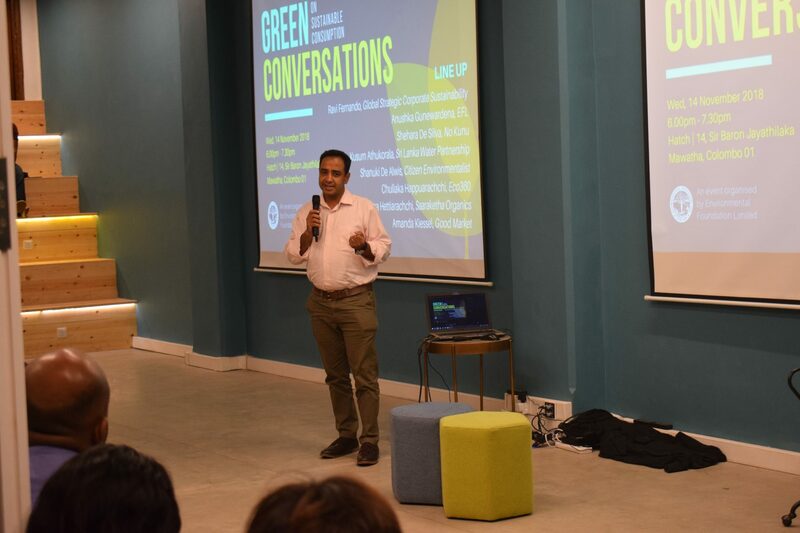 You can follow Environmental Foundation Limited on Facebook and other social media for more event updates.